It should be a booming time for big oil stocks. Crude prices are rising and exploration opportunities look solid. And indeed, there has been some strength in the sector. Shares of Exxon (NYSE:XOM), which I’ve recommended for much of the year, have bounced 13% from late March lows. Chevron (NYSE:CVX) stock is up 14% from February levels. BP (NYSE:BP) moved from $38 in early March to a current price near $46, not far from a three-year high. But the group generally has traded flat over the past few weeks — despite good news. Prices are rising, and it looks like the recent OPEC meeting won’t raise supply enough to change that trend. Regulatory pressure in the U.S. has been lightened by the Trump Administration. Clearly, investors in big oil stocks seem at least modestly concerned about the potential for a trade war. And with good reason. Increasing tariffs worldwide raises a number of risks for big oil stocks — and for the energy sector as a whole. Oil stocks are generally correlated to the price of crude, as evidenced by the crash in the sector in 2014-2015. Diversified majors like XOM and CVX don’t have quite the same correlation as pure producers like Anadarko Petroleum Corporation (NYSE:APC), given the ‘internal hedge‘ created by downstream operations. But big oil stocks like XOM, CVX, BP and Royal Dutch Shell (NYSE:RDS.A, NYSE:RDS.B) aren’t immune to macro concerns. And so the clear risk to the sector is that a trade war winds up being destructive for the U.S. — and the world economy as a whole. Whether an investor sees that risk as material likely comes down to his or her view of the effectiveness of President Donald Trump’s strategy. If the U.S. “wins”, that could be a boost to the economy — and a benefit to mostly local producers like Anadarko and Pioneer Natural Resources (NYSE:PXD). If everyone loses in a trade war, as some observers believe, that macro strength would likely lead to lower crude prices. That in turn would pressure stocks across the sector, including the diversified majors. Aside from oil prices, there’s also the risk of higher costs. The oil industry already has come out against aluminum and steel tariffs, arguing that they would increase production costs in the field — and make pipelines more expensive. That would seem to be a bigger problem for midstream players like Kinder Morgan (NYSE:KMI), which is trying to turn around its operations, or Plains All American Pipeline (NYSE:PAA). But higher transportation costs could echo across the supply chain. Permian Basin pipelines already are nearing their limits, and if pipeline builders face higher costs, they will pass at least some of those costs onto producers like Exxon in that play. Finally, there’s a risk that a trade war could close off access to export markets — most obviously, China. U.S. oil is selling well in Asia due to a wide spread between WTI (West Texas Intermediate) and Brent crude, but demand could dry up if import restrictions are implemented in those countries in response to higher U.S. tariffs. Longer-term, the U.S. has an opportunity to become a net exporter of oil due to the success of shale plays like the Permian. That opportunity comes to an end if major markets like China and Canada won’t take (or charge high tariffs) on that crude. An artificial cap on international demand means either supply has to be cut back, or a 2015-like glut will hammer oil prices, and take big oil stocks down with it. Is the Risk to Big Oil Stocks Real? Whether the risks are enough to abandon the oil space is in the eye of the beholder. Indeed, that’s true for the equity market as a whole; after all, it’s far from clear that a trade war will even happen. The U.S. could win key concessions. The Trump Administration could back down. Global or bilateral agreements are still on the table (and in some cases still in existence). And, as Trump has argued, the U.S. still could “win.” A renaissance in U.S. manufacturing could add to already high employment, sending economic growth higher. Even with some level of international demand limitations, that’s likely enough to move crude higher. If an investor sees that as the most likely outcome, the recent pause in big oil stocks is a buying opportunity. If not, there’s a chance to sell into still-reasonable strength before chaos breaks out. At the least, it seems likely that the movement of oil prices — and oil stocks — over the next few months will be affected significantly by trade concerns. Investors can place their bets accordingly. 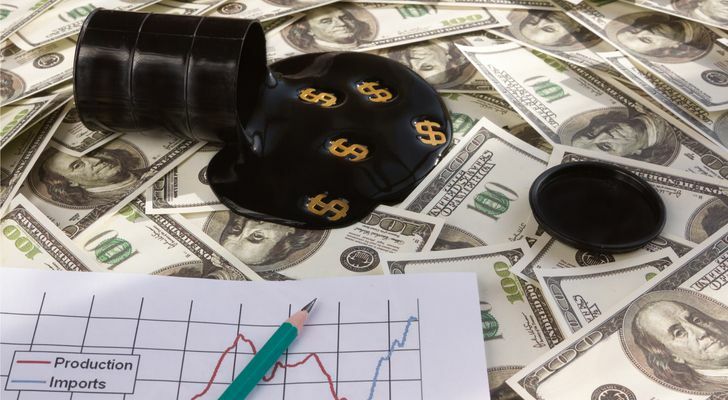 Article printed from InvestorPlace Media, https://investorplace.com/2018/06/3-risks-big-oil-stocks-face-amid-trade-war-worries/.